Scientific advice has played a critical role in recent decisions about how to conserve and manage Atlantic menhaden. As it should. But beginning with the 2015 benchmark stock assessment – the first conducted with the awareness that it would be used to regulate the fishery – on through the Commission’s halting move toward an ecosystem-based approach to management, science has been at the center of controversy, in particular the way it’s interpreted by the scientists advising the Atlantic States Marine Fisheries Commission. With another stock assessment underway in 2018-19, along with the invention of new models meant to produce ecological reference points, it’s worth reflecting on how proposed changes to the way the east coast’s largest commercial fishery is regulated have affected both the science and the public’s confidence in it and, finally, where we go from here. A Question of Science is a series of Wild Oceans blogs that looks at how the health of one of the most important prey fish in the sea is assessed. In case you missed it, you can read the introduction to the series here, When Everything Changed. By removing too many of the sea’s keystone predators, we weaken an entire tier at the top of the food chain. This may have dire biological consequences throughout the ecosystem, far beyond the social, economic and moral costs of depleted ocean fisheries. The world’s large open-ocean predators – the tunas, swordfish, billfish and sharks – are the lions, tigers and wolves of the sea, wild creatures as awe-inspiring as any animals on earth. They sit at the top of the ocean food chain, where they play the critical role of maintaining balance and diversity. 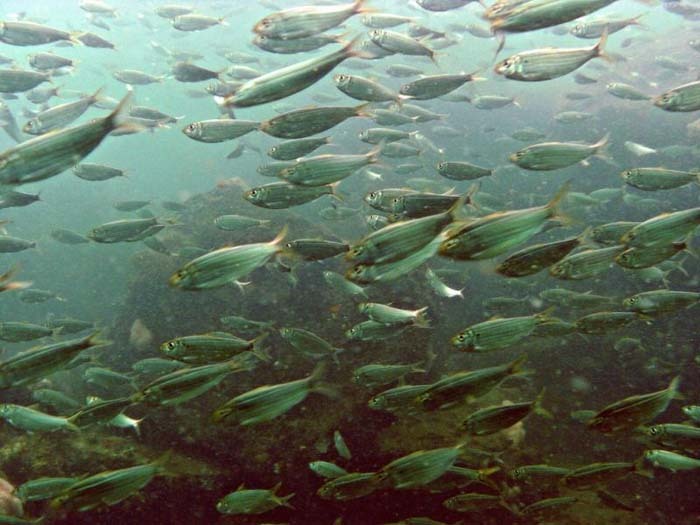 The latest installment, Losing Confidence, recalls how in less than a year the menhaden assessment went from what the ASMFC’s technical team assured us was the most reliable assessment they’d ever worked on to one they deemed not suitable for managing the fishery. New blogs will be posted periodically on our website at A Question of Science. Stay tuned,and thank you for supporting our efforts to keep the oceans wild — for the future of fishing! Support Wild Oceans with a Donation today! Wild Oceans, founded in 1973 as the National Coalition for Marine Conservation or NCMC, is dedicated to bringing fishermen and environmentalists together to make sure there will always be plenty of fish in the sea. The non-profit organization’s programs emphasize conserving the ocean’s top predators – the big billfish, swordfish, tunas and sharks that are the lions and tigers of the sea – while preserving healthy ocean food webs and critical habitats essential to the survival of all fish, marine mammals and seabirds. Learn more . . .